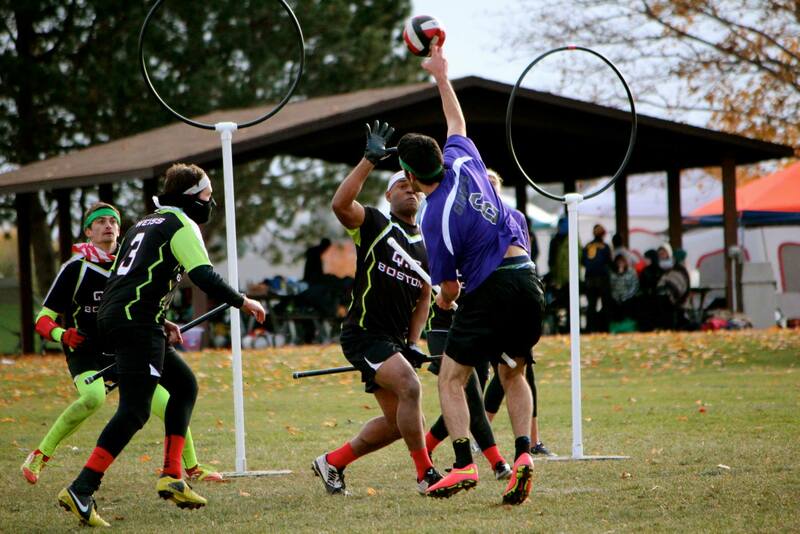 With last weekend’s Next Best West in the books, competitive quidditch has all but wrapped up for the fall semester. This season has had more quidditch than ever before, including three regional championships already in the books, leaving plenty to be thankful for. As one last treat before the holiday season, we have gathered up our staff to recap the major story lines of the semester, both on and off the pitch. For all of the great quidditch that has been played this season, we knew this would be the “Year of the Referee” long before the first “Brooms up!” was ever called. USQ lost some of its best referee coordinators to the IRDP and was slow in responding, finally hiring a new head of refereeing from outside of the sport late in the summer. The quidditch community, in the way only it can, immediately started calling for the end of days, and a complete lack of certified referees as the season began did little to dissuade it. Looking back over the fall season, things definitely could have been worse, but that is in spite of USQ’s efforts, not because of them. Thanks to faulty planning, many tournaments early in the season had to be made unofficial due to a lack of referees, an imminent problem USQ refused to take measures to fix because said fix would have hurt their bottom line. This all culminated in the Lumberjack Invitational, a revolting combination of referee mistreatment and referee understaffing that led to an entire, major tournament being retroactively made unofficial due to a lack of head referee for its final game. The problem ran so deep that even people within USQ’s own referee department felt the need to speak out publicly. In his editorial, Clay Dockery laid out the many problems facing refereeing in our sport. The central issues are deep, yet fixable, but only if USQ is willing to take action monetarily. Travel stipends would help correct both the testing issue and the lack of referees at major tournaments. Finally, when one of its own spoke out against the organization, USQ opted to take action. Sort of. The editorial sparked a call for a detailed, nearly staff-wide meeting on the issue. But the organization’s first attempt at an action point following said meeting, headed by Officials Manager Brandon Kreines, was a Facebook post asking for people to publicly post video of the worst refereeing calls they had seen. While there are many actions that can be taken to assuage the referee problem, referee shaming is not one of them, and the post was so obscene that it was quickly taken down by forum moderators. Incapable of coming up with fixes that do not border on internet shaming: that is the level of confidence we can have in USQ at this point. Due to such USQ incompetence, we very well may not have had a fall season if some incredible referees hadn’t stepped up in USQ’s stead and pushed us across the fall season finish line. Michael Clark-Polner, currently an unaffiliated referee, traveled up and down the East Coast. Martin Pyne flew from California to both the Midwest and Northeast Regional Championships. And the list goes on. These are the people that made this fall season happen, and they deserve our thanks this week. 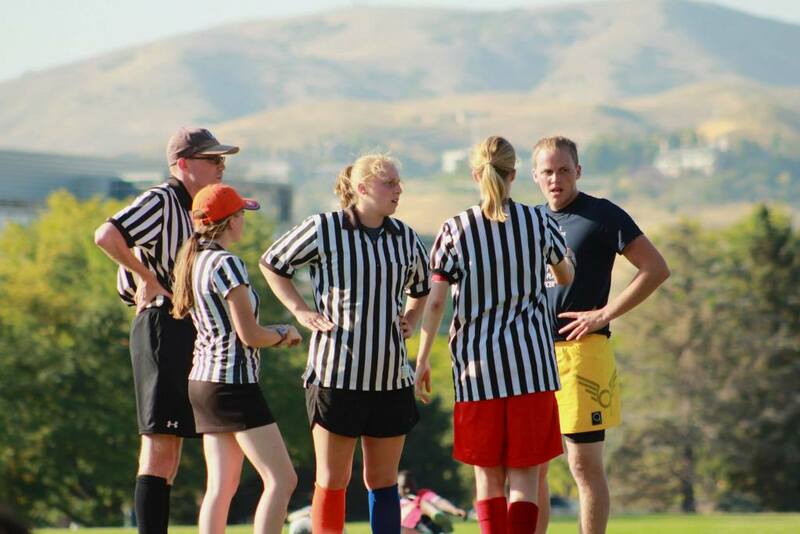 It is very likely the referee issue will hit the back burner in the spring semester. We now have a decent base of certified referees, but, in getting there, we had to stretch some of our best incredibly thin in an attempt to cover the gaping holes USQ left. There is still much work to be done, and a very competent IRDP is on the outside looking in. It is our job to continue to pressure USQ to, for once, do more and give us a long-term solution to this issue. Otherwise, this fall season will repeat it itself once more come September 2015. Starting outside of California, there are three teams that could possibly claim the regional crown in Placer Valley: Northern Arizona University, the Crimson Elite and Arizona Quidditch Club. Northern Arizona were the winners of the now-unofficial Lumberjack Invitational, notching an impressive victory over Arizona Quidditch Club and a close victory over Crimson Elite. But, they have not played any other games and they have not shown the ability to consistently blow out lesser teams. Arizona Quidditch Club has notched the most impressive victory in the region, defeating the Los Angeles Gambits in snitch range. However, they followed that up by being beaten by Northern Arizona, and they have very little to boast other than that tournament and a strong roster anchored by Margo Aleman, Amanda Nagy and Ethan Kapke. Finally, Crimson Elite has greatly amped up their intensity this yer, and have earned an impressive victory against Northern Arizona and gotten valuable experience playing in Texas at Lone Star Cup. That being said, they have taken less than impressive losses to the University of Northern Colorado and Boise State University. Unfortunately for the other states, the favorites still live in California, along with multiple threatening underdogs ready to make their marks. Up north, San Jose State University—while not looking like contenders for the regional crown—look like the best contender to stage a massive upset. They have already posted multiple snitch-range games against the Silicon Valley Skrewts and played a game barely out of range against the Gambits. In that area as well, the Skrewts have seemingly maintained their crown as the best Bay Area team and looked strong with a depleted roster at the recent Next Best West. However, they may not have a full roster until their regional, which raises questions as to whether they will be able to develop cohesion. The Santa Barbara Blacktips lost to the undermanned Skrewts, but they snagged an extremely impressive win over the Lost Boys last weekend. University of California in Los Angeles hasn’t even played in a tournament yet, but they have one of the most talented chaser corps in the region. Finally, the two favorites have to be the Gambits and the Lost Boys. The Gambits have won every game in region other than their slip ups against Arizona Quidditch Club and the Lost Boys, and they have a snitch range loss to University of Texas to boast on their resume. The Lost Boys have won both tournaments, most impressively defeating the Gambits with a massively depleted roster at Next Best West. They probably look to be the favorites for the second year running, but they have played many close games this season and and have the aforementioned Blacktips upset on their record. So who is going to take the trophy at Placer Valley? That’s anyone’s guess. Sometimes, it’s worth debating semantics. It’s worth weighing the importance of a play, or considering the fact that the goal was called off for a beat. But then sometimes, a double-covered player moving away from the hoops throws a perfectly weighted no-look pass over her head to hit a teammate in stride for the two-handed dunk. And, in times like that, I prefer to live in a world where nothing else about the play matters. Quidditch strategy, as we say again and again, is still in its infancy. Because of that, every new innovation is “game changing,” if only briefly. From 1.5 bludgers to Kansas-ing, our sport has been inundated by more attempts to level the playing field with tactics than ever before. But none has ever threatened to define a region in the way two-male beaters has in the Northeast this fall. Admittedly, two-male beaters isn’t really a strategy, it’s more of a lineup decision. Teams that commit to it are looking to create a large advantage in the beater game to compensate for anything they lose in the chaser game. It truly rose to prominence with the Lost Boys last season, with the team utilizing its huge advantage at female chaser to put both Peter Lee and Chris Seto on the pitch together, and was also a strategy used by Baylor University while start beater Brittany Ripperger recovered from injury. But this season is an entirely different story. The two-male beater renaissance in the Northeast started with perhaps its most talented team–Q.C. Boston. Capable of putting both Max Havlin and Mike Sanders on the pitch at the same time at will, they gave the rest of the region an ultimatum: adjust or die. The two teams that have been the most comfortable doing so have been the Northeast Regional finalists: NYU and Tufts. Probably the two least physical of the region’s upper echelon teams, both have countered the fact by trotting out impressive rotations of male beaters: Andrew Miller, Nick Ryder and Matt Cardarelli for Tufts. Kyle Jeon, Dylan Meehan and Stanford Zhou for NYU. Tufts made headway with it first, using it for the first 10 minutes of the Oktoberfest finals match against Maryland, a game they’d eventually win, 170*-90. NYU responded at Northeast Classic, beating Massacre twice and Tufts once on their way to the title. And both teams used heavy doses in dispatching Emerson, The Warriors and Massacre on their way to the regional title game. But Tufts and NYU are by no means the only ones. 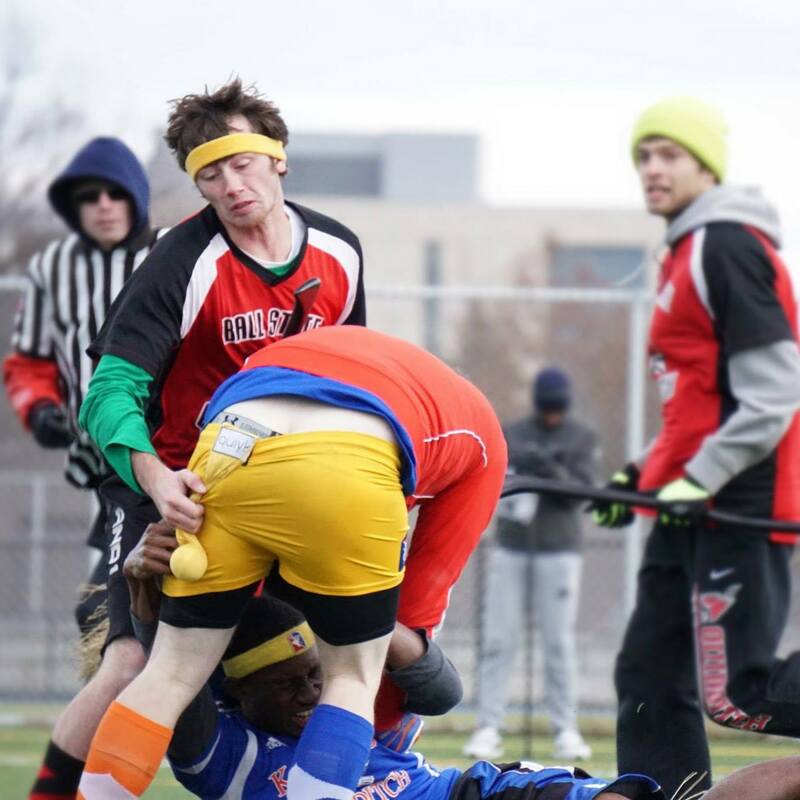 At regionals, just about every major team in the region, from Hofstra University to Emerson College to University of Rochester to The Warriors, broke out the two-male beater set, lending credence to the old saying: If you can’t beat them, join them. But, in many ways, this played right into Tufts’ and NYU’s hands, as both teams were able to assuage their lack of physicality and press their advantages at both male beater and female chaser. Massacre would likely be lumped in with the other two, but an unfathomable 1-8 record in SWIM situations has left them on the outside looking in to every major tournament they’ve attended. With bad weather blanketing the Northeast for the majority of the spring season, it’s likely that regionals provided us one of our final good looks at the region before World Cup. Much in the way that Kansas used an alternative strategy to give Texas A&M and Lone Star two of their best games at World Cup VI, the two male beater set might be the Northeast’s counter to the top Southwest team’s brute force this season. How such teams will choose to respond will both be an interesting storyline entering April, and decide exactly what types of waves these Northeast teams can make come bracket play. There has been a plethora of confusing results coming out of the Midwest this season. Ohio State took the regional title, but losses to Blue Mountain Quidditch Club and Ball State University mar their record. But then, Blue Mountain and Ball State have both lost to Miami University. Blue Mountain has also lost to the non-qualifying Ohio University. So what the hell is actually happening here? Typically, when you talk about tiers of competition in quidditch, you are talking about lines of separation where games between tiers end up out of snitch range almost every time. However, with the Midwest’s tiers, games between adjacent levels are almost always inside of snitch range. That being said, based on the Midwest’s showing this fall, one can deduce the region is laid out as follows: Ohio State is the clear-cut, No. 1 team, and the only one capable of making a case for a national, tier-one spot. After that, Bowling Green State University, Ball State, University of Michigan, University of Kansas and Blue Mountain seem to compose the second tier. Michigan State University, University of Missouri, Central Michigan University, University of Minnesota and, arguably, Miami University and Marquette, make up the third. There are exceptions, of course. Michigan has yet to keep Ohio State in range. Blue Mountain has out-of-range losses to all of their tier-two counterparts—but is also one of only two teams, along with Ball State, to have beaten Ohio State this season. But, for the most part, if you view these tiers as lines that can be crossed, but only one at a time, you get a much clearer view of the Midwest. In tier one vs. tier two games, Ohio State is 9-2, with six games being in snitch range. In tier one vs. tier three matchups, Ohio State is 6-0, with only one game being in snitch range , a win over Miami at Phoenix Cup, 90*-40. In tier two vs. tier three games, tier two is 16-4 against tier three, with 12 of those games being out of range. The tiers are clear when you look at it the right way. tier one will almost always beat tier two and will always beat tier three. tier two will almost always beat tier three and will, as mentioned, pull off some wins against tier one. tier three can beat tier two, but not often, and they cannot compete at all with tier one. 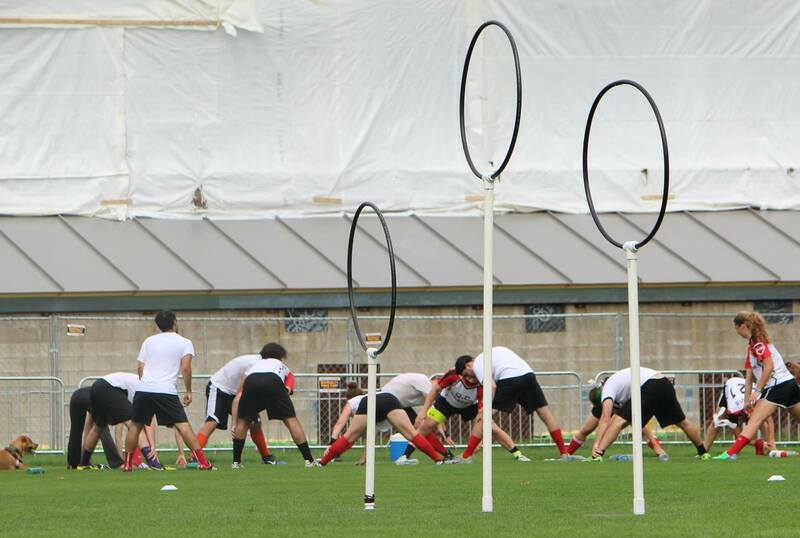 Quidditch may be reaching a point where tiers of teams aren’t as neatly defined as they once were. With the exception of Lone Star, just about every top team in the country has looked vulnerable at times. But at this point, that’s not an indictment on those teams, but a nod to just how far our sport has come competitively. And while the tiers may not be as clear as they once were, taking the right approach to them shows definitive lines that will only solidify in the months to come. Last season, in our yearly World Cup unpopular opinions piece, I posited that the “all-tournament team seeker will not be a household name.” I wasn’t completely wrong because there really wasn’t an all-tournament seeker when all was said and done. However, I wasn’t particularly correct either. Now, it looks like I might have been just half-a-year early on my prediction. For years now, the cream of the crop in the seeker department has been pretty stable. Players like Porter Marsh, Billy Greco, Tyler Macy, Harry Greenhouse and Sam Roitblat have been around forever, and even those that have entered the top tiers slowly, like Andrew Zagelbaum, have done it in front of our eyes. With the potential exception of Keir Rudolph, very few have simultaneously entered the elite ranks and our collective conscience at the same time. New, elite seekers have popped up out of the blue in multiple regions, with names so obscure I have had to go back to Facebook multiple times to confirm them all a few times over. Why the change? Well, a few reasons can be cited. In the cases of New York University’s Austin Sweeney and Ball State’s Jason Bowling, their personal stars have risen as their teams have, while University of Arkansas’ Eric Dreggors has benefited from better-reported game times. Bowling was the first to make waves this semester, though everyone was so caught up in the way Ball State was slow-playing on offense that he barely even got mentioned. Regardless, his 8-3 SWIM record is at the heart of his team’s amazing start to the season, including grabs that earned them wins over Bowling Green twice, Ohio State, The Warriors, NYU and Kansas, a veritable murderer’s row of seekers. Ball State’s success is one of the stories of the semester, and Bowling should get just as much credit for it as captain Trevor Campbell. Sweeney has been just as deadly for NYU, posting a 9-1 record in his last 10 SWIM situations (leaving out the beginning of the season has become standard in all things NYU, right?). Just as impressive is how he has done it. At the Northeast Regional Championship, in both his team’s pool play game against Q.C. Boston: the Massacre and his team’s semifinal game against The Warriors, Sweeney found himself up against Harry Greenhouse at snitch, but, both times, made the grab in basically one pass. His long arms, which he throws everywhere and anywhere, are reminiscent of Rudolph’s and will make him dangerous against just about any snitch going forward. Dreggors has remained in the most obscurity—as Arkansas has for years—but a 5-1 SWIM record and some incredibly fast snitch-catch times have the community taking notice. Throw in Brien “Baby Beluga” Polivka, the Midwest Regional Championship All-Tournament Team seeker, and we have a full crop of new stars in the seeking game. Now, as the spring semester approaches, all four will face new challenges. They will have to deal with the added pressure and snitch attention notoriety brings. Whether each will be up to the task will have a large effect on both their personal perception as well as the success of their teams going forward. Earlier this season, I stated that the most exciting games at the majority of tournaments would be between the middle tiers. Certain teams showed early dominance at the top of their regions or at least in typical tournament fields. That was certainly the case in September: the Gambits dominated Crimson Cup, but we saw really interesting games between the Crimson Elite, Northern Colorado, Northern Arizona and Boise State. Same thing on the other side of the country, where University of Maryland was more or less untouchable when they hosted Turtle Cup, but we saw four overtime games and 10 snitch-range games in pool play of the Mid-Atlantic Regional Championship. But as the season wore on, that proved to be less and less true. That is something we can all be thankful for during the holidays, because nobody wants to be forced to care about who makes the quarterfinals of a given tournament. The real storyline I took from this fall was the rise of new programs to the top of their regions. Ball State has been making statements since day one of the season, but it took two or three tournaments for people to start taking them seriously. They have been to four tournaments this year and had at least one huge victory at every one. The most significant casualties along the way include Ohio State, Bowling Green, Michigan, The Warriors, NYU and Kansas. The haters have shut up, and although Ball State has ended two of their tournaments with lopsided losses to Bowling Green, you cannot argue against their resume in four tournaments this year: two victories, one finals loss and a semifinal loss in the Midwest Regional Championship. University of North Carolina-Chapel Hill subtlely had an excellent World Cup performance last year. They went 2-2 in their pool with a 40-point loss to Florida’s Finest, handled McGill University 160*-60 and then fell to Bowling Green 110*-70 in the Round of 32. They were expected to do well this year in a weak Mid-Atlantic region, but not much more. They repeatedly showed an ability to blow out the middling teams on the East Coast but couldn’t stay in snitch range against Maryland. That is, until the finals of the Mid-Atlantic Regional Championship. With an extremely memorable and heartbreaking overtime loss to the Terrapins, in which they led 100-70 in quaffle points during regulation, they won the nation’s attention. Looking back on their five losses—Bowling Green, two to Maryland and two to NYU—their 16-5 record looks even stronger, as they have only lost to regional finalists. NYU has been muddling on the borderline of relevance for their entire history. Their biggest claims to fame were that they were the “home team” for World Cup IV and they produced YouTube celeb Brizzy Voices and former captain Amanda Dallas and her merchant marine recruiting technique. Their rise over the course of the fall has been reminiscent of Baylor University bursting on to the scene after a win over World Cup-favorite University of Texas in October 2012 (not to mention NYU’s go-to zone is equally as reminiscent). The Nundu’s first three games of the season are laughable in retrospect. A 140^-130* overtime win against Capital Madness in their debut, a 160-30* loss to UNC and a 180-90* loss to Rutgers University. They are now now 24-9 on the season and a combined 15-1 in their last two tournaments (Northeast Classic and the Northeast Regional Championship). NYU has arrived on the national stage, and it is no longer a surprise to see them in the finals of big-time tournaments. If they can continue their upward trend, the sky is the limit, and they will be one of the most exciting teams to watch come World Cup. While it’s really exciting for gameplay in general to see teams show rapid improvement, I think this says even better things about the direction quidditch is taking as a whole. We’re in the second season of USQ’s Individual Membership Program. Steeper membership prices may have limited growth from the outside of quidditch in the program’s first year, but that is clearly no longer the case as we are seeing a fresh injection of talent into the quidditch world like we haven’t in years. The prices remained close to the same between this year and last and competition and quality of services continue to improve, making the value of a quidditch membership much a much more effective recruiting tool. The most favored teams used to be the ones with the most talented established verteran foundation, but the scale has been gradually tipping further and further in favor of teams who are able to best recruit and harness new talent and that should only continue to grow. There is more potential for leaders to shape new talent into teams that can be immediately competitive. Meanwhile, a larger and larger percentage of stars remain in the game with community teams at different competitive levels popping in cities everywhere, rather than just the biggest hubs like it used to be. 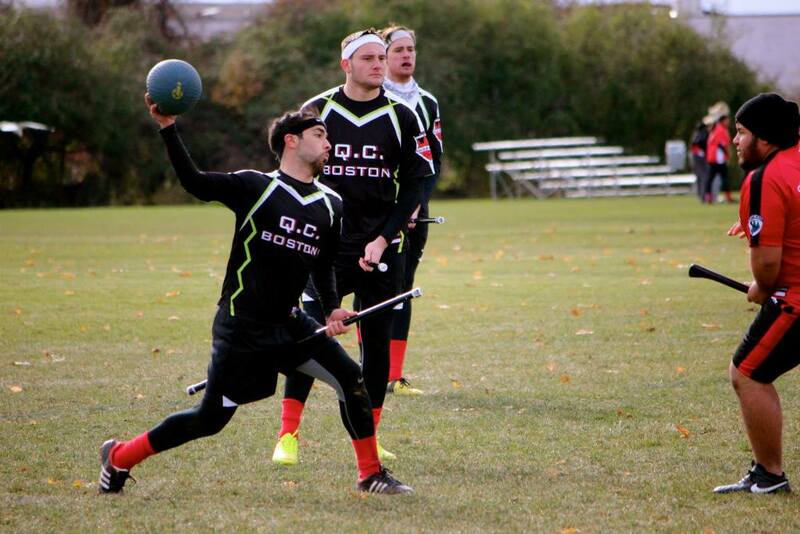 Quidditch is back on the rise after worries of stagnation loomed over the last couple of seasons. Nobody has disproved the theory that World Cup 8 can only be won by the top teams of the Southwest, but these teams are just a handful of the teams that are sure to make it interesting every step of the way. And who knows? After all, anything can happen in quidditch. For a second consecutive season, we enter the winter break with a single Southwest team having separated itself from the pack. But while this year’s Lone Star squad may in many ways embody last season’s Texas A&M University team, including in personnel, it’s much more difficult to see this side stumbling at World Cup in the way the Aggies have in each of the past two seasons. From day one this season, Lone Star has been the live incarnation of its region’s motto: Come and Take It. They didn’t just fill out their roster with A&M’s talented graduates, they took some of their best current students, including Sean Fry and Kifer Gregoire, as well, leaving the Aggies crippled in a way they may not recover from for years. When they decided they wanted a coach, they went right to the top, swiping Team USA head coach Mitch Cavender, who coached four of them this summer, from the Western Region. Add in the squad’s dismantling of both UTSA and University of Houston’s rosters within the last year as well, and it’s not hard to see why this team is where they are. Looking at the numbers, all three performances are very similar. But even so, it is clear that this year’s Lone Star has been the most impressive, an incredible feat when you realize just have highly thought of those Aggie teams were. Boasting the best of those teams but also most of the best of the Texas team that won World Cup VI, it’s not difficult to argue against Lone Star being the best regular season quidditch team ever assembled. But, as we know all too well, neither of those Texas A&M teams won titles, and Lone Star also shares some negative correlations with them, most notably in their beater game, which is chock-full of former Aggies. As a group, they have never been able to do enough in the beater game to get their team a title, and in Lone Star’s closest games this season, a difficulty to obtain bludger control has been at the forefront. Also like Texas A&M in 2012-13, Lone Star missed out on an opportunity to play a West team when the Gambits came to town, an opportunity Texas has ridden to an improved beater game and a World Cup Championship in each of the last two seasons. While it’s easy and natural to worry about this Lone Star team, the fact remains that they are the unanimous best team in the league, have more talent than any other team to ever play a game, and have a coach who is basically there to make sure they don’t come up short because of a poor bludger game. Their fall season may compare to Aggies’ teams of years past, but it’s substantially more impressive even so, a 20-0 record that will likely stand the test of time. As the spring season approaches, our croquet-stick wielding overlords will be issuing us the very challenge they were built on: Come and Take It. And this year, I don’t think anyone can. A Lone Star World Cup victory would open up a can of worms in the league, requiring discussions about community teams in a college league, poaching, and what our sport will be going forward. But that’s not going to stop this team from waltzing out of Rock Hill with the title that so richly deserve.